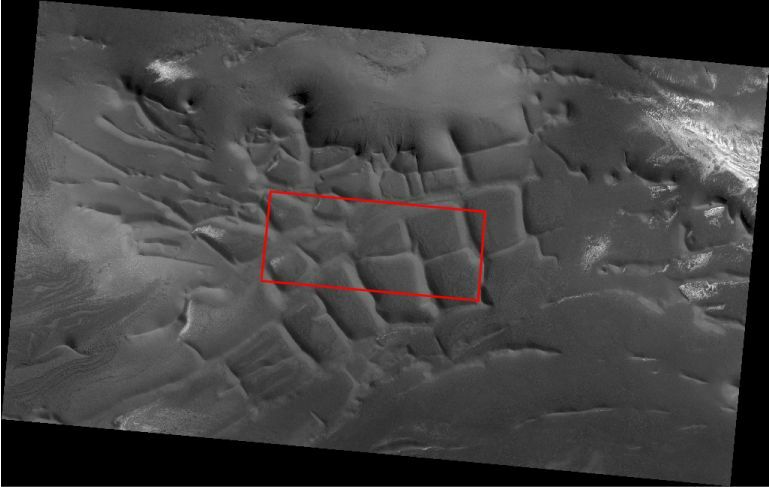 I stumbled upon a week or so ago across these past images of Inca City captured by various NASA spacecraft on the NASA Space Science Data Coordinated Archive’s Mars Photogallery, and I thought I would share. As you know the HiRISE team has unofficial nicknames for many of the regions that are monitored with HiRISE for the South Pole Seasonal Processes. Some of these you’re familiar with: ‘Inca City’, ‘Manhattan’, ‘Giza’, etc, but Inca City’s nickname comes from actually the days of the Mariner missions. 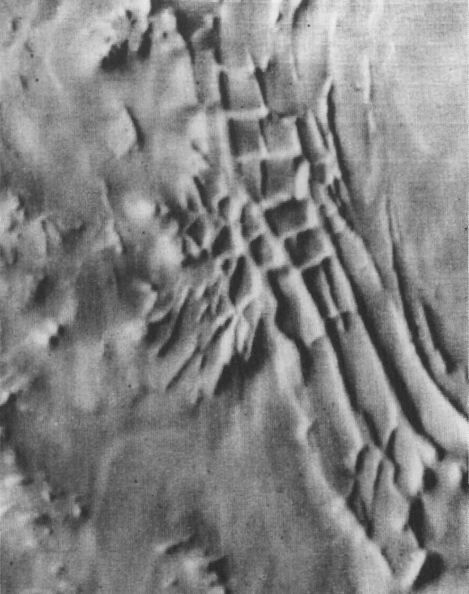 Mariner 9 imaged the Inca City area in the 1970s, and the story supposedly goes that the geographic features reminded the science team of a fallen or buried city and the moniker has stuck up until present. I talked the other day about the modern day views of Inca City, but here are some taken over time. It’s amazing to see how our view of this region has sharpened and come into focus. 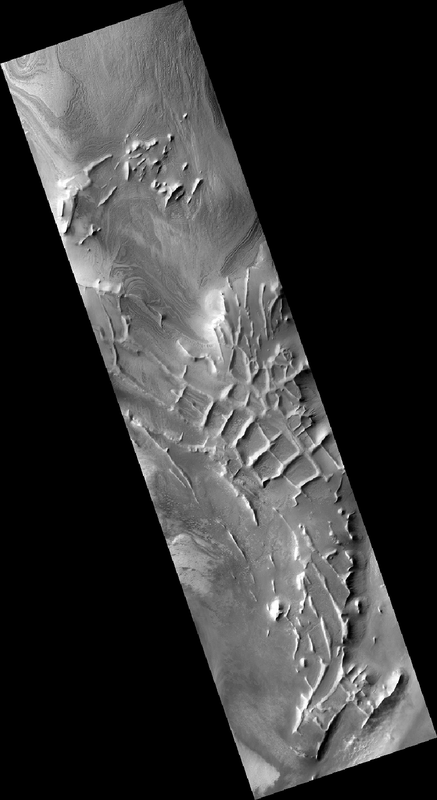 Inca City if you recall is one the regions concentrated with boulders as seen in the HiRISE images, but if you zoom out you like in the Mariner 9 image you can see honeycomb features that are interconnecting rectilinear ridges. 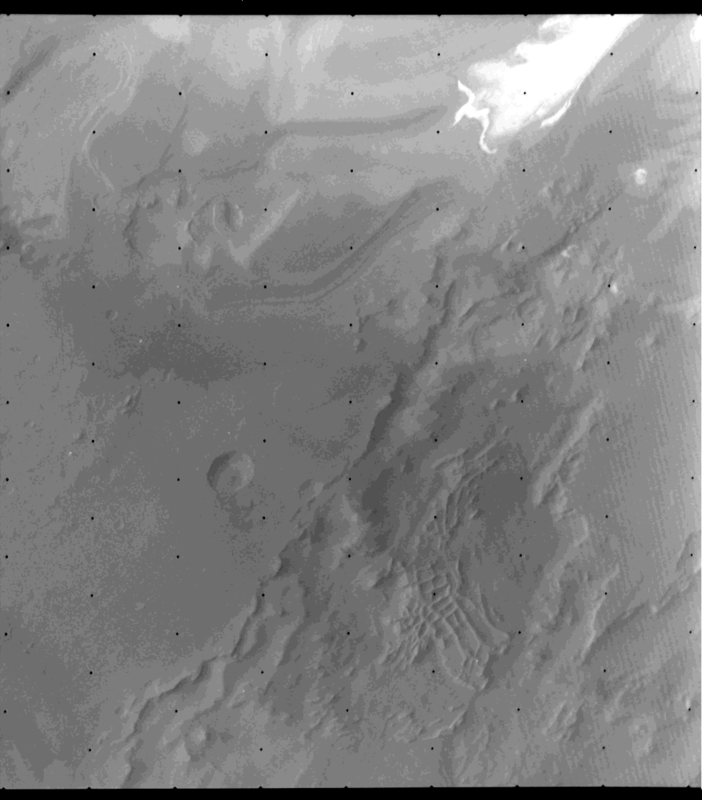 How exactly this formed was not fully known, but with the Mars Global Surveyor (MGS) has shed some light on the regions origin. 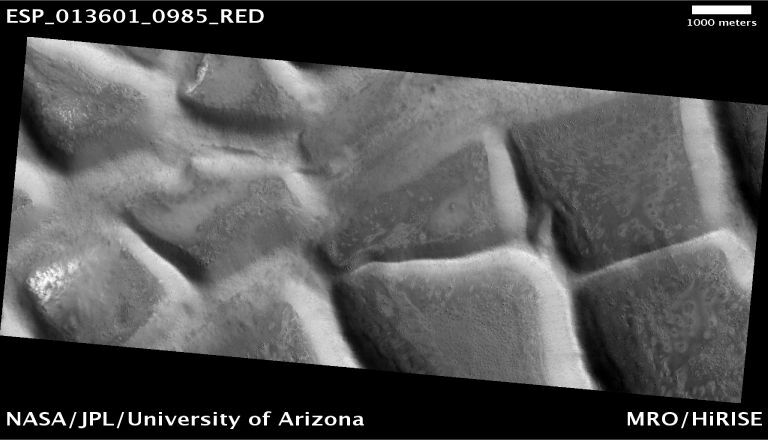 Mars Orbiter Camera aboard MGS sees for the first time that Inca City is associated with a larger circular feature. One prevailing theory is that larger structure is a impact crater that has been buried or filled in and partly exhumed. Even if it an impact crater, there are several proposed mechanisms resulting from this situation that could produce the geographic features in Inca City. If it is an impact origin than very like the boulders you’ve seen in the images reviewed on Planet Four that are spread across Inca City are impact derived.